Advanced Fluid Systems welcomes NoShok to its product lineup. 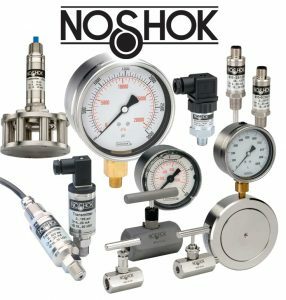 We are pleased to announce that NoShok, a manufacturer of gauges and measuring instruments is available for purchase through Advanced Fluid Systems. NoShok brings nearly 50 years of experience in measurement solutions and were one of the first manufacturers to offer liquid filled gauges. The addition of Noshok means that Advanced Fluid Systems can offer a greater selection of pressure, standard temp and level instruments, along with needle valves, force and specialty gauges, and transmitters used in hazardous locations. View our complete lineup of manufacturers here.